In the second of our two-part introductory series on disruption and innovation, we expand from "how" innovation happens to "why" companies succeed at innovation and are able to build Purpose Brands. Similar to the prior section, the views here represents my personal interpretations and takeaways from online courses, in-person dialogue, theories and literary educational resources (see references below) by and with Harvard Business School Professor Clay Christensen. 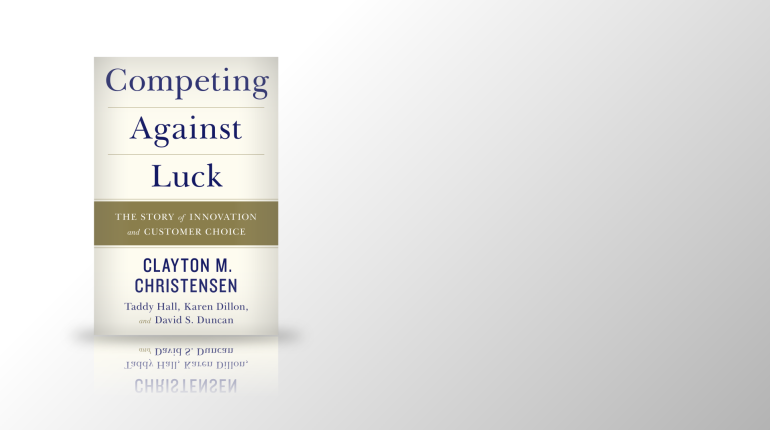 Integral to why innovation efforts may succeed is Prof. Christensen’s Jobs to be Done theory. A “job” is a problem that a person is trying to solve and is based on the notion that customers do not buy products but instead "hire" them to get a job done. The theory focuses on what causes customers to buy a product rather than relying on attributes (such as age, gender, or income) that can be merely correlated with buying behavior. Jobs tend to have two dimensions - Functional (i.e. practical role the product or service fulfills) and Emotional / Social (i.e. the feeling one gets from owning or using the product or service). Jobs tend to be holistic attempts to solve problems – e.g. “Help me do...” “Help me avoid...” or “I need to...” etc. In the travel industry, travelers traditionally have hired hotels to do jobs for them - e.g. provide a clean room to be productive, offer a venue to host meetings, serve as a destination for leisure etc. The benefit is that hotel companies can offer guests more products and services, but it comes with the challenge of needing to organize around and satisfy more jobs. Conversely, newer entrants like Airbnb do not necessarily satisfy multiple jobs today but they are successful in being strongly associated with singular jobs (e.g. serving as a destination for leisure). As hotel companies determine whether to or how to offer alternative types of accommodations, it is important to determine the specific job that would be getting done - e.g. owning the leisure travel experience. Job to be Done: What “job” do customers need to get done or what problem are they trying to solve? Experience: What are the experiences in purchasing and using the product that companies need to provide in order to get the “job” done perfectly? Integration: What and how must we integrate in order to provide these experiences in purchasing and using the product? Purpose Brand: How can we create a brand that customers immediately think to “hire” for a “job”? With jobs theory being the anchor of creating a purpose brand, it is important – but not always easy - to correctly identify the actual jobs that need to be done. In order to discover the right jobs, company leaders can reflect on personal experiences and investigate why former customers left. In observing current customers, identify the workarounds or compensating behaviors customers use to get the job done today and ask why they may be doing this. While products, services and technologies may come and go, jobs persist over time – e.g. consider the long-time success Disney and Ikea have had. Companies that are integrated around a job (or jobs) can achieve market differentiation and potentially avoid longer-term disruption. 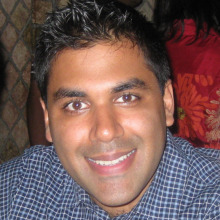 Ankush is our Chief Travel Designer and sets the strategic vision for The Travel Guy platform. His passion for global exploration and experiences came from traveling to over 70 countries / territories (including much of the US), serving as a personal travel guide for friends & family and working in the travel industry. Ankush launched this platform to be your destination for travel inspiration, education and innovation and hopes to meet you on a future trip.